At Ink & Stitch we offer vinyl transfer printing to customers in Norwich and throughout the surrounding areas in Norfolk. At Ink & Stitch, we offer vinyl transfer printing to customers in Norwich and throughout the surrounding areas in Norfolk. Using some of the latest transfer machinery, we are able to create high quality items that have vinyl transfers printed onto them. With vinyl transfer printing you can have sharp and vivid logos and imagery that truly stands out on your garments. When you choose to use our own garments for your vinyl transfers, you’ll able to choose from a range of plain or branded garments. If you’re interested in having vinyl transfer carried out and you’re based in Norwich or any of the surrounding areas, then be sure to get in touch with Ink & Stitch. We pride ourselves on offering high quality printed vinyl garments. Although vinyl transfers aren’t as durable as other methods such as screen printing, the technology has come a long way in allowing for washing under certain conditions. When we undertake any vinyl transfer for customers in or around Norwich, we only use the latest machinery which allows for washing. Our vinyl transfer printing is suitable for washing up to 40 degrees Celsius and they can be washed with all popular washing products. How Does Vinyl Transfer Printing Work? We have our own in-house heat presses here at Ink & Stitch, which we use as part of our vinyl transfer printing service. We use the latest 40x50cm swing presses from The Magictouch. Unlike screen printing, where ink absorbs slightly into the garment, with vinyl transfers it sits on top of the garment. This allows for a much sharper and vivid look because the base colour doesn’t affect the design. As transfer can be made in a number of ways before it’s applied to the garment using the heat press. We use cold peel vinyl transfers so the garment is left to cool and the backing paper is then removed, which leaves the vinyl transfer bonded to the garment. When Should Vinyl Transfers Be Used? If you’re in need of vinyl transfer in Norwich or any of the surrounding areas in Norfolk, then be sure to make Ink & Stitch your first port of call. 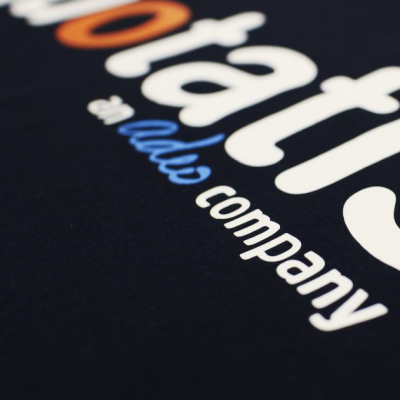 We can print vinyl transfers on numerous different garments ranging from t-shirts to jumpers and much more. With all vinyl transfer printing carried out using quality materials and the latest machinery, we’ll ensure you receive a quality product. When it comes to vinyl transfers in Norwich, be sure to give us a call on 01603 952989. Alternatively you can fill in our contact form and one of our team will get back to you.